As a U.S. State Department intern, Alexa Kissinger was encouraged to downplay her Puerto Rican roots in how she dressed and spoke. With Alexandria Ocasio-Cortez now in office, she feels ready to be herself. With Alexandria Ocasio-Cortez firmly seated in the U.S. House of Representatives, one former White House staffer says that she finally sees herself — a proud Puerto Rican woman — in politics. Alexa Kissinger, 28, who is partially Puerto Rican, works as a law clerk at the Public Defenders Service in D.C., but began her career as a State Department intern eight years ago. 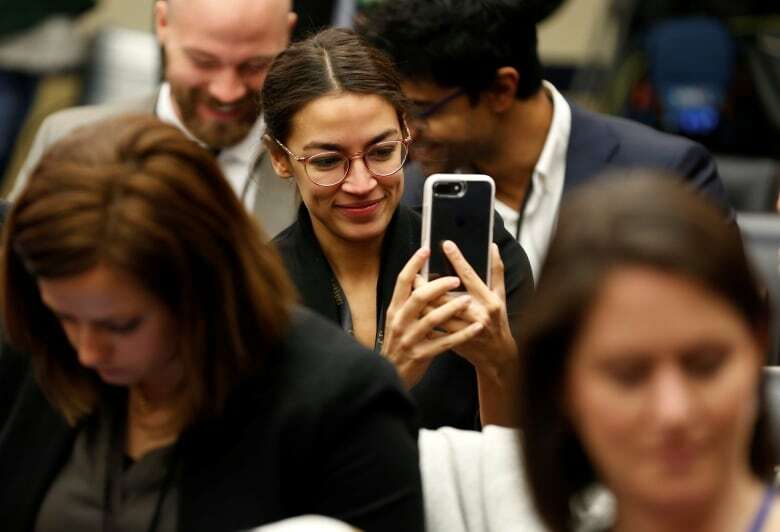 She's encouraged by women of colour like Ocasio-Cortez and others who were sworn into Congress on Thursday, for their progressive and "authentic" approach to politics. Kissinger wrote for Vox in November about how she felt pressured to downplay her Latina roots in the political sphere — until being emboldened by Ocasio-Cortez's success. "Until I saw Alexandria and all these other women just kind of being themselves, I didn't realize how much it had soaked in and how much I had taken it to heart," she told Day 6 host Brent Bambury. A Democrat from New York state, she ran on a platform that included medicare for all and changes to pro-immigration policy reform. "To see somebody who ... not only understands but who has lived through those things walk … into a position where she can actually fight for families like hers and for families like mine, it really does get to me emotionally," said Kissinger. As an intern, Kissinger said she was told by a seemingly well-meaning male mentor to watch the way she might "come across," despite glowing reviews of her work. He used "code words that he phrased in terms of maturity and decorum but that so many women of colour, I'm sure, are used to," she said. "They say, 'Just be a little more proper,' or 'Be a little less of whatever it is that you're being.'" The feedback reinforced her instinct to dress more conservatively, wear different makeup, and straighten her hair. She hung up the gold nameplate necklace her abuela (grandmother) gave her, and resorted to Google when terms like "rowing crew" were casually thrown around the office. It's a stark contrast to Ocasio-Cortez, who wears bright red lipstick and has been outspoken, honest and according to Kissinger, understanding. That contrast is apparent on her social media channels. 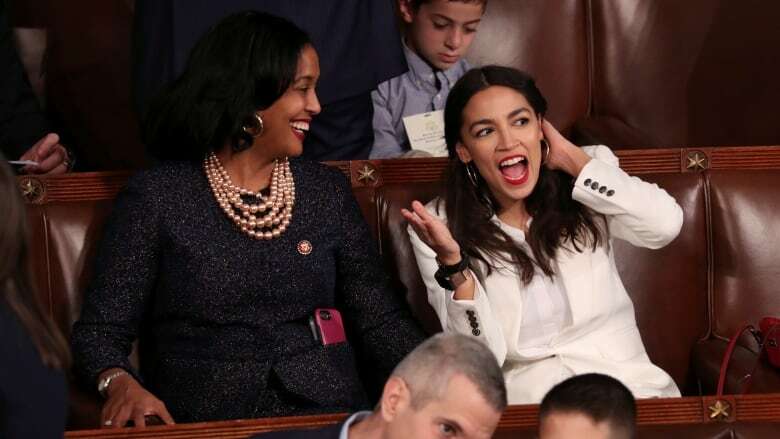 During her first day on Capitol Hill — "freshman orientation," as she called it — she live streamed the experience, sharing with the audience her excitement over the "hidden" tunnels under the building. With Ocasio-Cortez presenting herself as an unapologetic, Latina woman, Kissinger says it's inspired her to be herself in Washington, D.C.
Ocasio-Cortez's age, political experience and financial status — she publicly announced in November that she would be unable to afford a Washington, D.C., apartment until her salary kicked in after she was sworn in — have been critiqued. Critics attempted to discredit her this week when a college-era video of her dancing was posted online. Kissinger notes a now-deleted tweet by Washington Examiner journalist Eddie Scarry calling the political newcomer a "girl" and commenting on her attire. "Being the first is not easy," Kissinger said. "Being someone who doesn't stay silent or isn't going to change themselves to conform to what these institutions are used to seeing is gonna be a rocky road." While Kissinger is sympathetic of the challenge that Ocasio-Cortez and the other women of colour now installed in the House will face in the coming four years, she's grateful to feel represented in the government. "I feel so grateful that they are going to take these negative attacks," she said. "I think they are extremely brave for doing that because it's helping more people than just them." To hear the full interview with Alexa Kissinger, download our podcast or click the 'Listen' button at the top of this page.